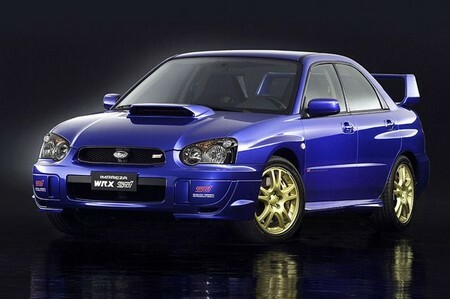 The Subaru Impreza WRX Limited has been improved from its predecessor. You will not notice the changes at first glance but once you take a look at the spec sheet you will see the difference. The Impreza WRX now has a wider body and better styling than the STI. The wheels have been increased by 1.5 inches in the front and in the rear. The front of the car has been revamped. The Impreza has a new set of 17×8 inch wheels rather that weigh 1.5 pounds less. Coupled with the new set of wheels are high performance tires of 235/45R-17. The Impreza WRX has a 2.5L turbocharged flat-4 engine that gives a horsepower of 265 hp at 6,000 rpm and a torque of 244 lb-ft at 4,000 rpm. It has a four wheel drive system combined with a 5 speed manual transmission. There isn’t anything new with the Impreza in terms of engine power from its other Subaru siblings but clutch handling is better compared to its siblings. For the $25,000 price tag it offers you all you want in a sedan. It gives you a four wheel drive system that rivals Volkswagen, Chevrolet Camaro and Ford Mustang. It has a stylish design that would make you want to drive one out right once you see it in the showroom. It laos has a powerful engine that is easy to use and fun to throttle. The engine gives a nice low growl that any car enthusiast is looking for. The Subaru Impreza has a nice touch to its stick shift that meshes well with its good weighted clutch. The Subaru Impreza delivers power that course through all four wheels making handling and steering through tough corners and curves smooth and smile inducing. The interior on the other hand falls short of competitors in its market segment. The inside is ok but nothing spectacular or eye catching. The design is good enough but still falls short of the Volkswagen and the Mazdaspeed 3. If you are not all too picky about the look of your car this might be the car for you. The main problem of the Subaru Impreza is its steering. It will give drivers a hard time moving because of the numb response time and stiff feel. The car also feels outdated despite being marketed as a new model. The inside feels old compared to similar cars out on the market.